Surfbirds' photographers have captured amazing shots of some of the rarest birds in the world. 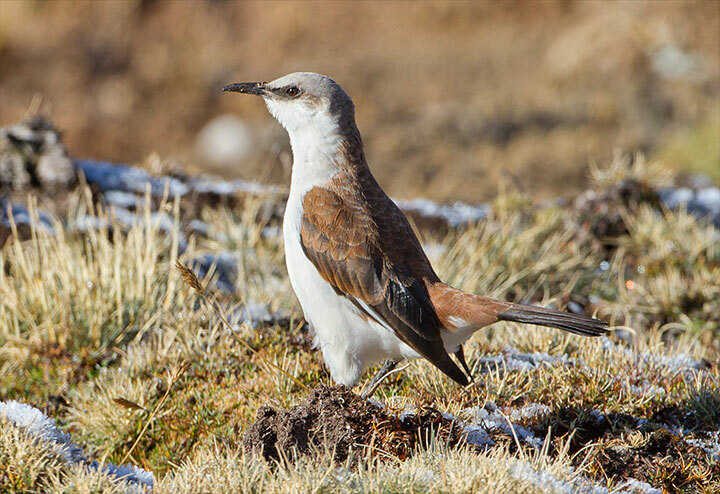 In the first of several installments, here are 25 of the rarest birds in the world. Please check out the World Rarities Gallery to see some of the finest bird photography anywhere on the web and sign up for our Daily Digest to make sure you never miss a shot. Best viewed in landscape mode on smartphones! Indonesia, Ulu Watu June 2009 © James Eaton - Birdtour Asia. 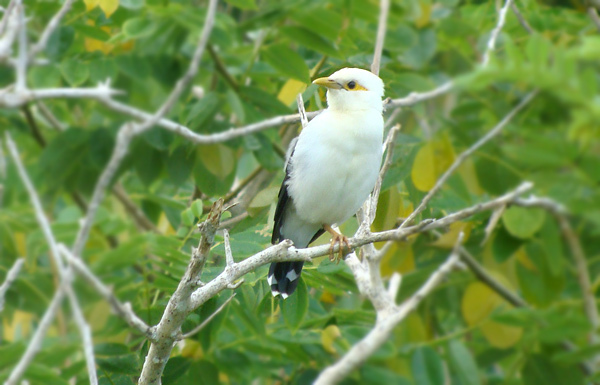 The once common Black-winged Myna is endemic to the Indonesian islands. 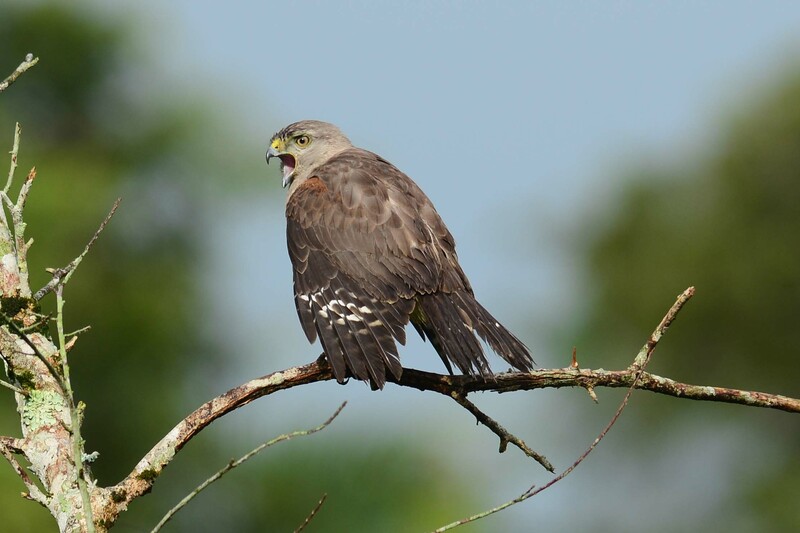 It is critically endangered with only a few hundred birds left in the wild. Numbers have dropped by 75% in the last 20 years. The rampant and largely unregulated trade in birds in Indonesia has pushed several species to the brink of extinction, including the Black-winged Myna. Indonesia, Simeulue Island Dec 2010 © James Eaton - Birdtour Asia. There were previously no confirmed reports since 1931. However, this photo by James Eaton provided unequivocal evidence that the species persists with at least three birds photographed in late December 2010. It is listed as Critically Endangered because it is assumed to have a tiny population. It appears to have a highly restricted range, with historical records suggesting that it at least formerly occurred on islands off Sumatra, Indonesia. Nihoa Island, Hawaii March 2007 © Paul Jones. Discovered on the Hawaiian island of Nihoa in 1923. Another subspecies once occurred on Laysan Island, where it went extinct in the early 20th century after the island was devegetated by introduced rabbits. The last population estimate was 600 birds in 2009. This bird got its interesting name because its favorite food is the miller moth. Cape Verde, Raso islet March 2012 © Paul Donald. 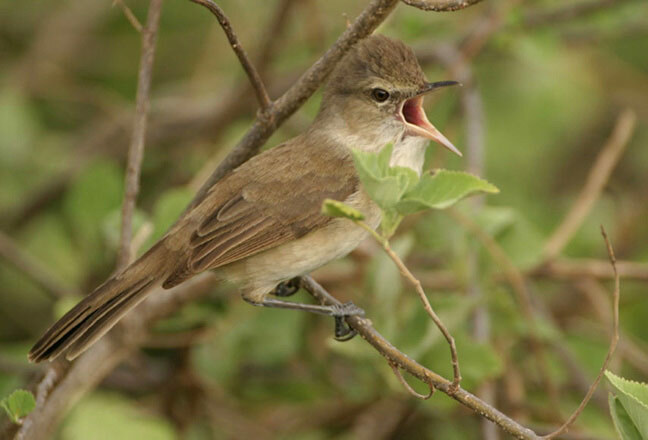 Confined to one very small island in the Cape verde archipelago, where its population fluctuates in response to rainfall and appears to reach extremely small numbers in the hundreds. Climate change may increase drought in Cape Verde, adding to the likelihood of extinction. As a ground-nester, the species is highly at risk from the accidental introduction of predators. French Polynesia, Tuamotus September 2006 © Pete Morris/Birdquest. Formerly widespread throughout the Tuamotu archipelago and Society Islands of French Polynesia. 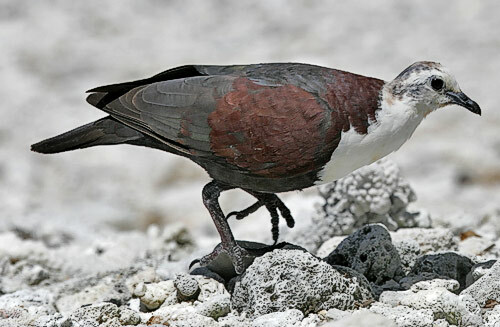 The introduction of rats and cats to these originally pest-free islets may have caused the local extinction of the ground-dove from the Society Islands. Vital habitat has also been cleared on some of the larger atolls, to make way for coconut plantations. The total population is estimated at just 70 to 130 adults and the species is classified as Critically Endangered. Australia, New South Wales October 2007 © Pete Morris/Birdquest. 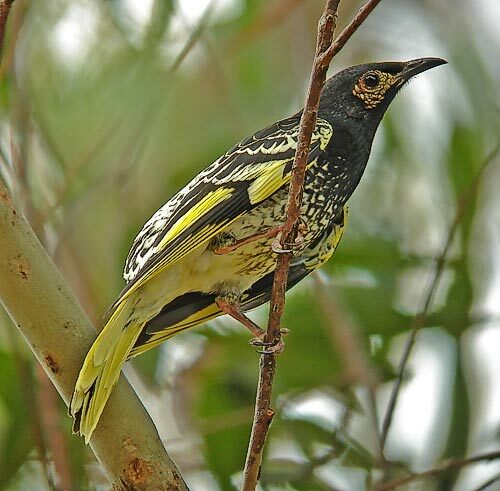 Regent Honeyeater is classified as Critically Endangered because its population in southeast Australia has undergone extremely rapid declines over the past two decades, with less than 400 individuals remaining. These declines have been driven primarily by drought, compounded by habitat loss caused by historic clearance for agriculture, and possibly competition with other native species, particularly Noisy Miner. Bolivia, Barba Azul Nature Reserve June 2010 © Paul Donald. 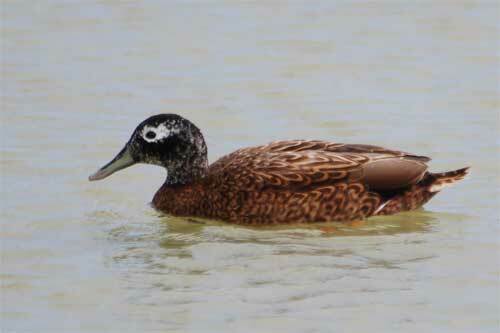 A Bolivian species that had a wild population prior to the 1980s at around 500-1000 individuals. By the end of the decade the birds had all but disappeared. In 1992 they were rediscovered, and within a few short years the birds were caught to near-extinction by trappers for the pet trade, leaving a small population scattered over a wide area of habitat. There are less than 100 individuals in the wild. Bhutan, Punakha 31st October 2015. 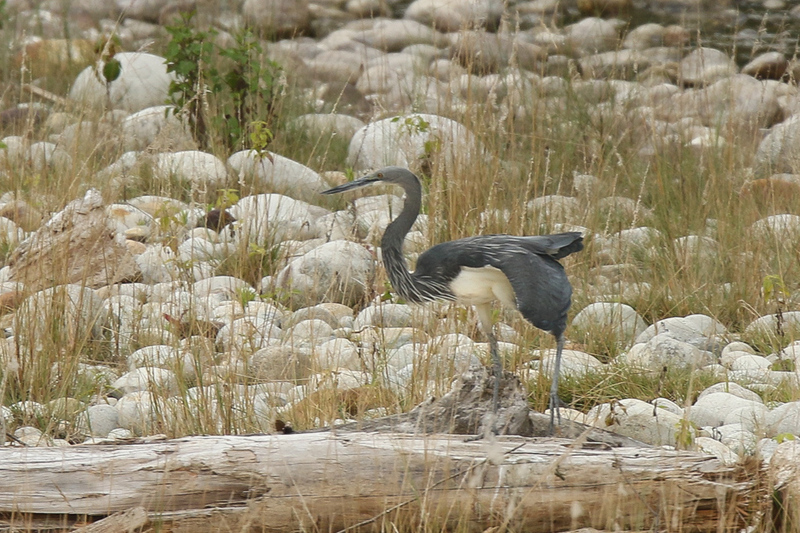 This heron is classified as Critically Endangered because it has an extremely small and rapidly declining population. Its population numbers are in the low hundreds. This decline is projected to increase in the near future as a result of the loss and degradation of lowland forest and wetlands, and through direct exploitation and disturbance. India, near Desert National Park 28 December 2011 © Aidan G. Kelly. 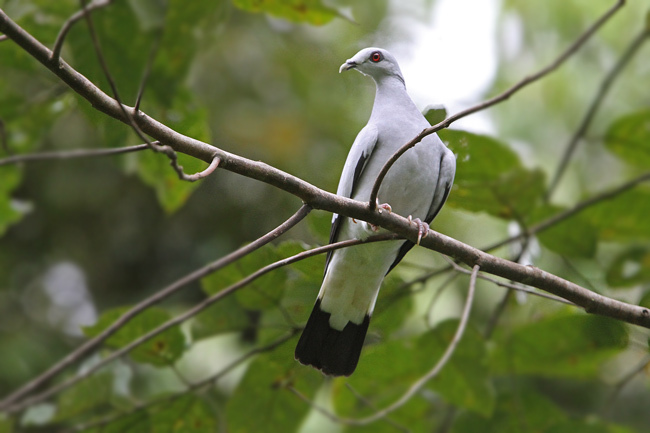 Formerly found across the Indian Subcontinent, but is now locally extinct from 90 per cent of its original range. Historically, hunting has been the main factor in the initial decline in numbers and this was exacerbated by habitat destruction. China, Hebei May 2014 © Pete Morris/Birdquest. 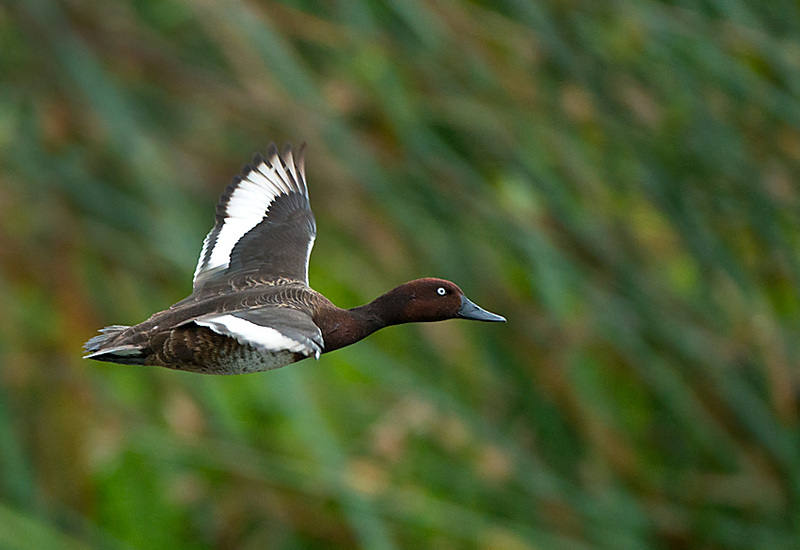 With a population less than 700 individuals, Baer's Pochard is classified as Critically Endangered as it is undergoing an extremely rapid population decline. 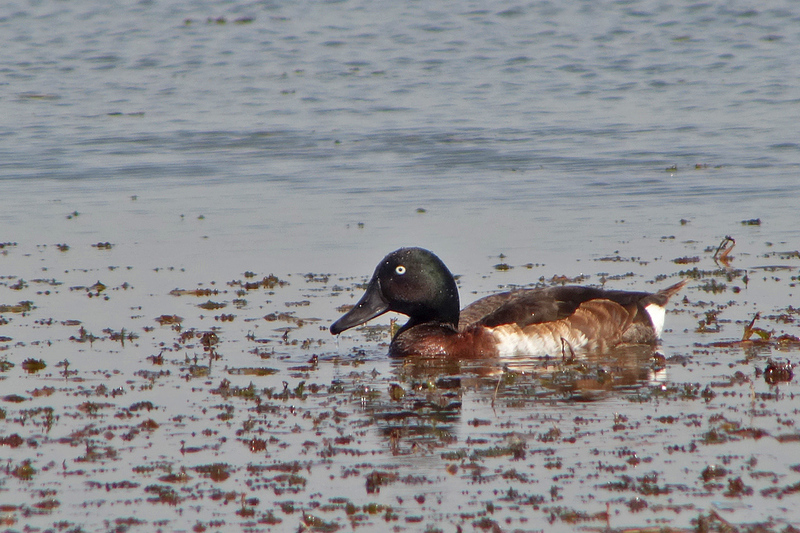 It is now absent or occurs in extremely reduced numbers over the majority of its former breeding and wintering grounds. It is thought that hunting and wetland destruction are the key reasons for its decline. Madagascar, Madagascar 4-9-2014 © Daniel Lopez-Velasco/Birdquest. 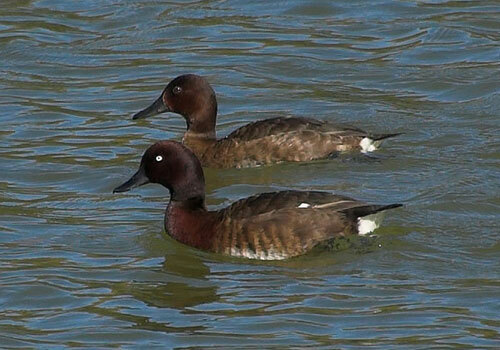 Thought to be extinct, Madagascar Pochard was rediscovered in 2006 following the last sighting in 1991. It is currently known from a single location where 29 mature individuals were seen in 2011 and 21 in 2012. While it may also persist at other sites, the population is likely to be tiny and less than 50 individuals and therefore it is classified as Critically Endangered. Sao Tome, Sao Tome August 2015 © Pete Morris/Birdquest. A small forest dwelling bird found on the island of Sao Tome. It had only been known from historical records and anecdotal evidence until a confirmed sighting in 1989. Recent estimates place the population somewhere between 70 and 400 individuals. 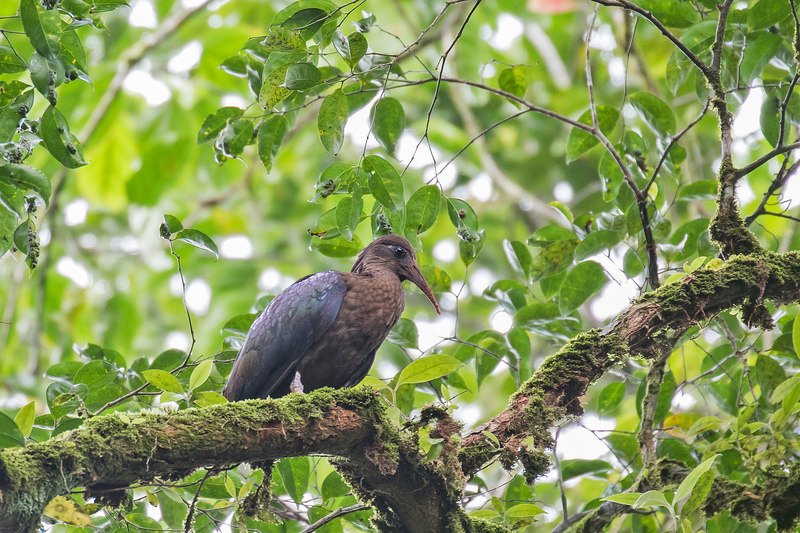 Hunting, although typically opportunistic, is the biggest threat facing the Dwarf Olive Ibis. This is exacerbated by the fact that the species is tame and easy to spot. Dominican Republic, Los Limones May 2014 © Paul Noakes. Considered Critically Endangered because it has an extremely small and fragmented population in the low hundreds which continues to decline. This species occurs in the Dominican Republic and formerly occurred in Haiti. It was formerly widespread, but has been extirpated from over 96% of its original range during the last century. Palawan, Philippines February 2012 © Rob Hutchinson - Birdtour Asia. 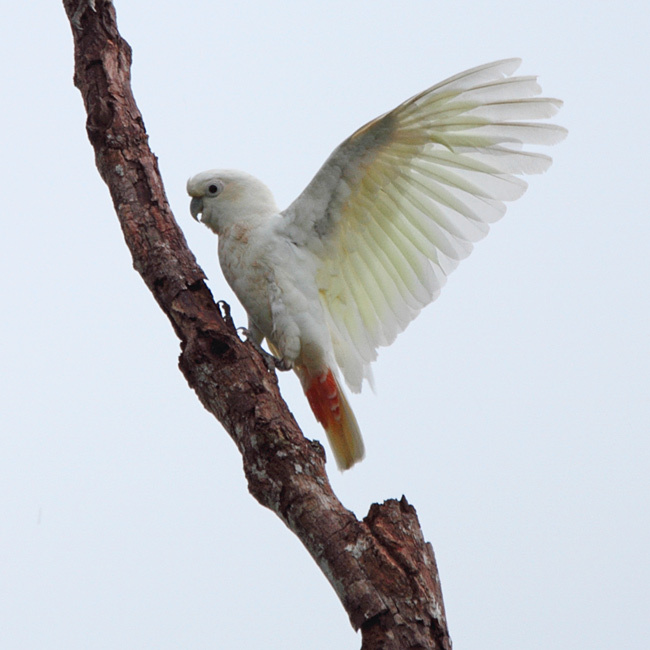 Philippine Cockatoo is Critically Endangered because it has suffered an extremely rapid population reduction owing to extensive loss of its lowland habitats and trapping for the cagebird trade.Its population is less than 1000 birds. Indonesia, Komodo 16-8-13 © Stijn De Win. 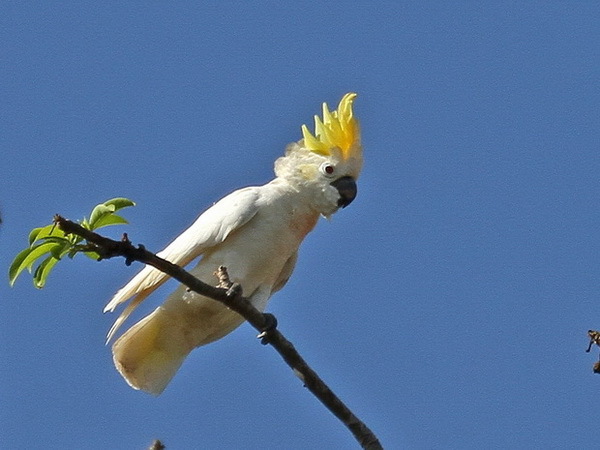 Yellow-crested Cockatoo has suffered (and may continue to suffer) an extremely rapid population decline, owing to unsustainable trapping for the cagebird trade and has less than 2000 individuals in Indonesia. Thailand, Pak Thale, 4 February 2010 © Jeremiah Trimble. 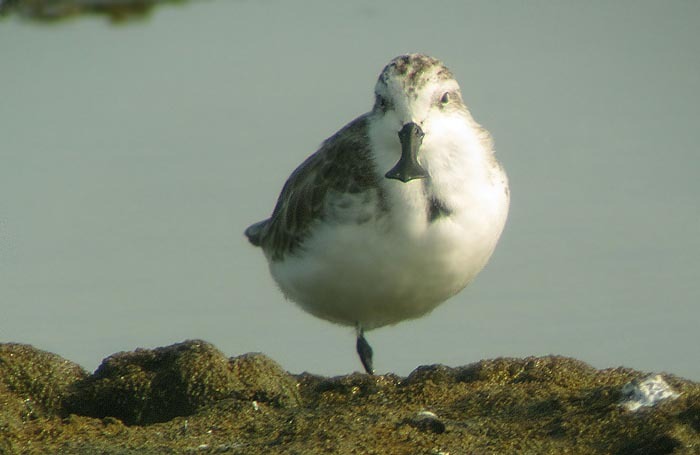 Spoon-billed Sandpiper has a vast range, breeding in Russia, migrating through14 different countries and wintering in China, Vietnam, Thailand, Malaysia, Myanmar and Bangladesh. Unfortunately human activities affect the birds in all of these regions, the greatest threats being hunting and reclamation of intertidal mudflats for coastal development. 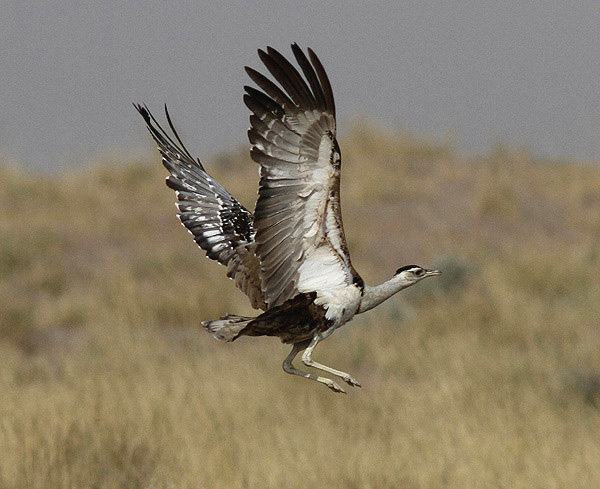 An optimistic estimate placed the population at 120-200 pairs in 2010. Researchers suggest that it is highly unlikely that undiscovered populations still exist. Philippines, Siburan, Mindoro 2011-03-01 © Markus Lagerqvist. 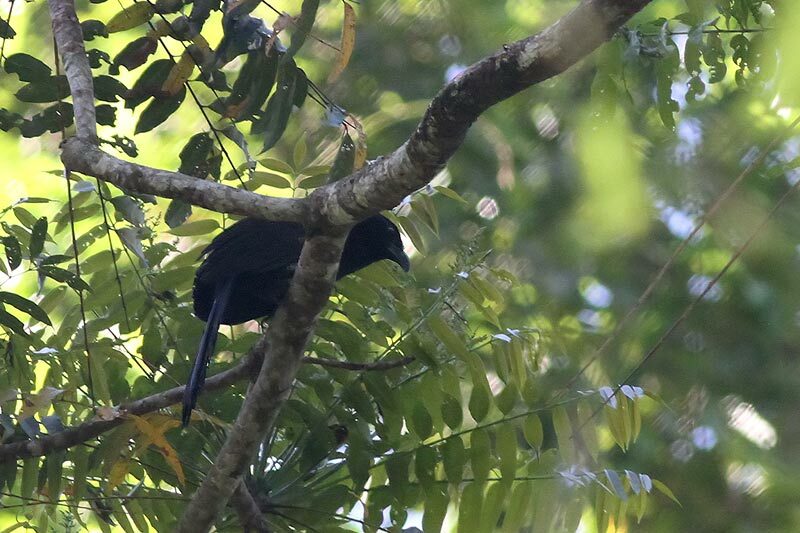 Less than 300 individual remain of the Black-hooded coucal qualifying it as Critically Endangered because it is continuing to decline owing to the loss and degradation of remaining forest fragments. It is the Philippines rarest endemic coucal and can only be seen in Mindoro, a small island southwest of mainland Luzon. Guyana, Takutu River March 2012 © Mikael Bauer. 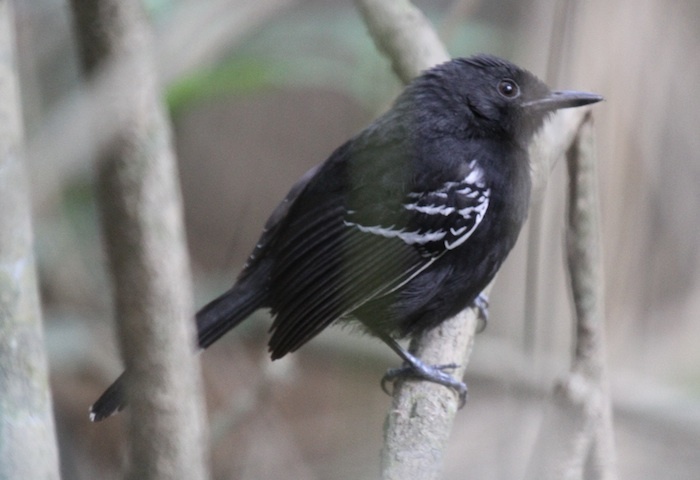 Unlike many other species in this gallery, the Rio Branco Antbird has a population size of almost 15,000 but it has a small range and has been uplisted to Critically Endangered because a model of future deforestation in the Amazon basin predicts that its population will decline extremely rapidly over the next three generations as land is cleared for cattle ranching and soy production, facilitated by expansion of the road network. Indonesia, Buru 9th Nov 2014 © Dave Williamson. This is perhaps the only photo of this species in the wild. Blue-fronted Lorikeet world population is estimated to be below 300 birds and is endemic to the island of Buru, South Maluku, Indonesia, where it was known from seven specimens collected in the 1920s. Prior to 2014, recent targeted searches yielded no confirmed records of the species. 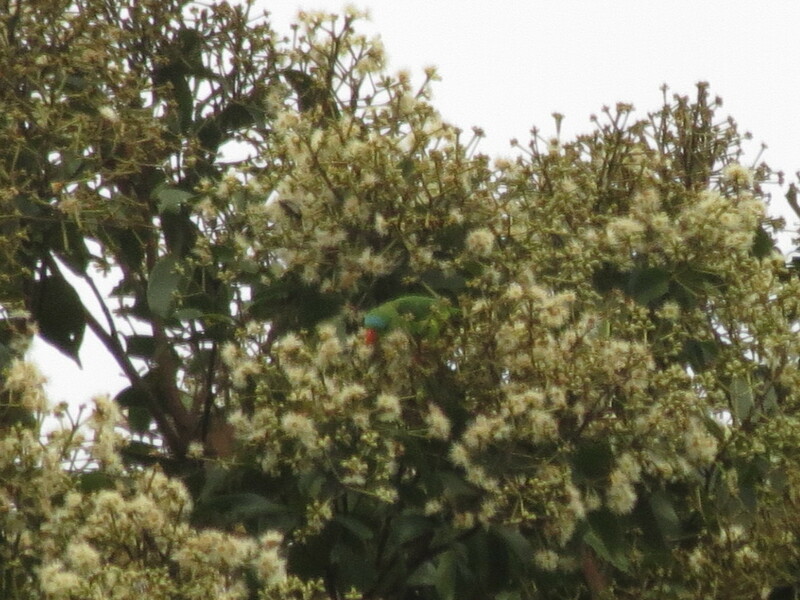 However, in November 2014 at least two Blue-fronted Lorikeets were observed and photographed on Buru. Peru, Abra Malaga 2 Dec 2012 © Andrew Stevenson. 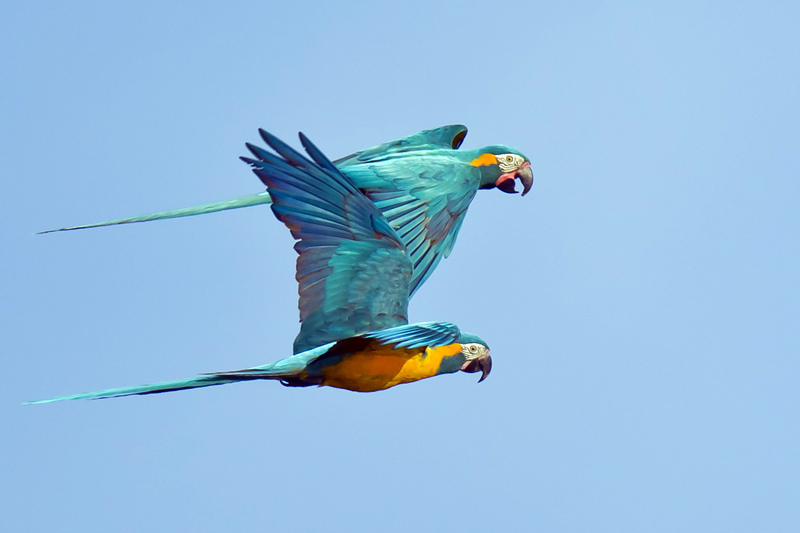 Population is less than 250 birds across Peru and Bolivia. It has an extremely small population and is restricted to a severely fragmented and rapidly declining habitat brought about by uncontrolled use of fire, heavy grazing, and timber extraction across the speciesí distributional range, from which equivalent declines in population size are likely. Peru, 08/2010 © David MacLeman. 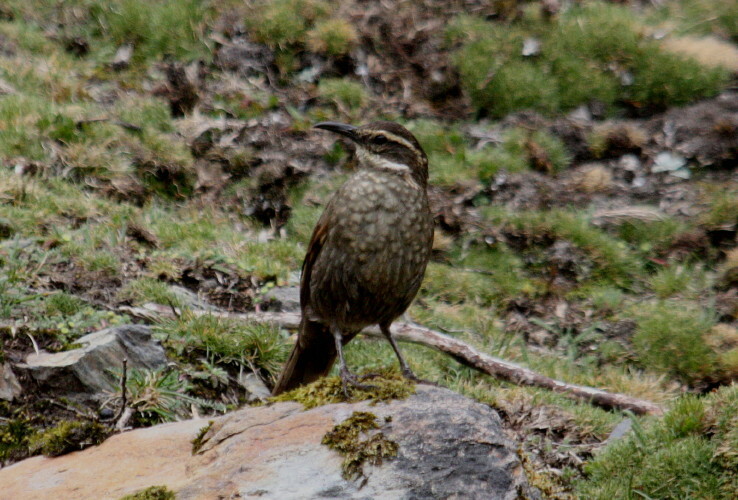 Rare and very local in the high Andes of Peru. 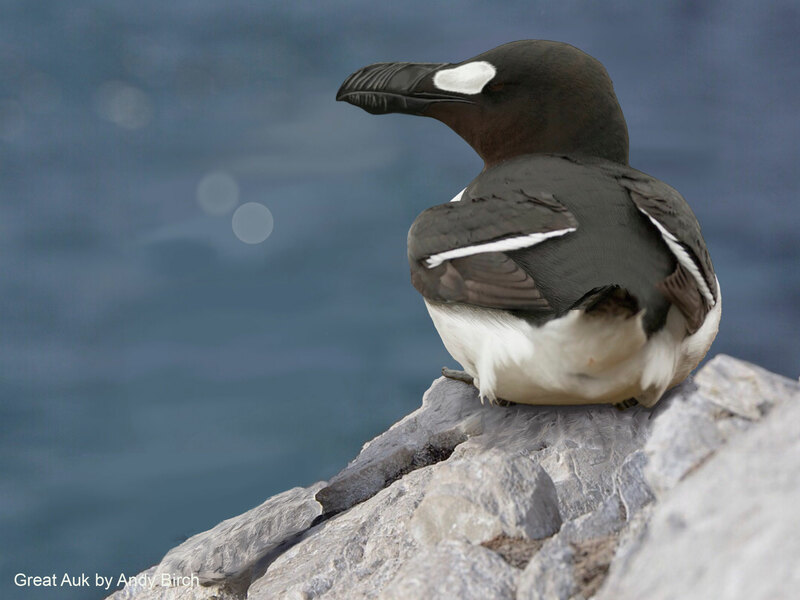 This species is now thought to have an extremely small population (less than 300 birds) which is assumed to be in continuing decline owing to habitat destruction and degradation (Collar et al. 1992). Further surveys of suitable habitat have failed to find the species at any additional localities. USA, Midway Atoll 10 March 2009 © John Brodie-Good. Endemic to the Hawaiian Islands, where it became confined to Laysan. The species was near extinction at the beginning of the 20th century, but the population increased to 500 individuals in 1987, however, in 1993, there was a complete breeding failure and severe die-off owing to drought and disease. 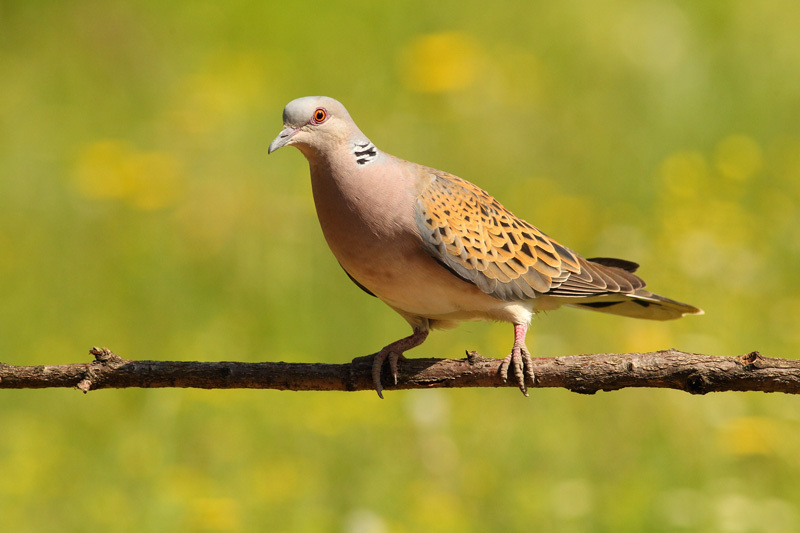 Population estimates put the population below 150 adults from a peak of 743 birds prior to the drought. 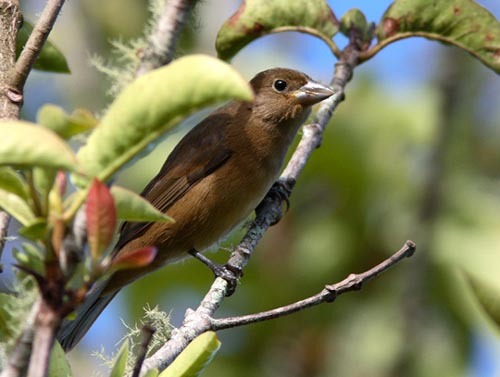 Since then the population gradually increased, reaching an estimated 521 birds in 2010. Mariana Islands, Saipan 8 Jan 2010 © Jon Hornbuckle. 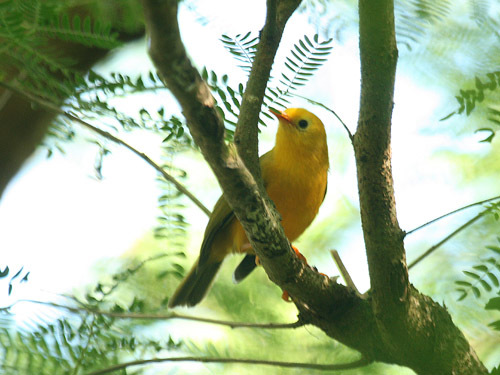 There are up to 100,000 individuals of the Golden white-eye but the majority of the population of this species occurs on the island of Saipan, where the Brown Tree Snake may possibly be in the process of becoming established. This would lead to an extremely rapid population reduction in the near future. Goi's state, Brazil, Emas National Park Dec 2008 © William Price. Until relatively recently, Cone-billed Tanager was known only from a specimen collected in 1938 from Mato Grosso,Brazil. 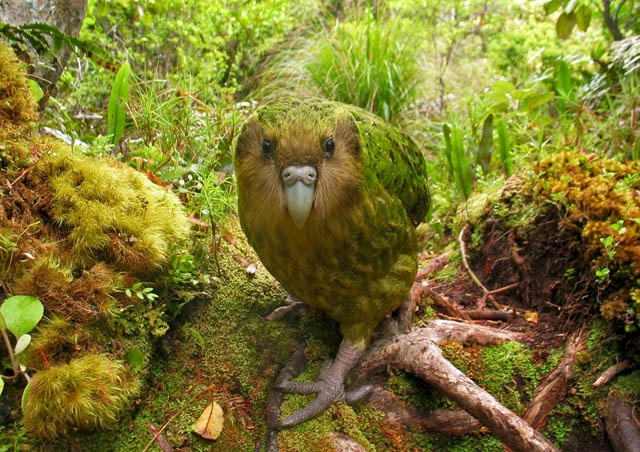 This species went undetected until 2003 when it was rediscovered in in Emas National Park. Although the species' status remains very poorly known, it is likely to have a very small range, and an extremely small population, both of which are likely to be declining owing to habitat degradation. For these reasons this species is treated as Critically Endangered.